Today is the last day to boost your gold, elixir and dark elixir pumps. 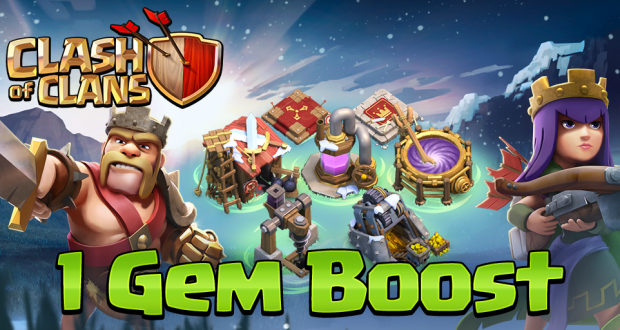 Your spell factory, heroes, your barracks and dark barracks for 1 gem each. Take advantage of it!